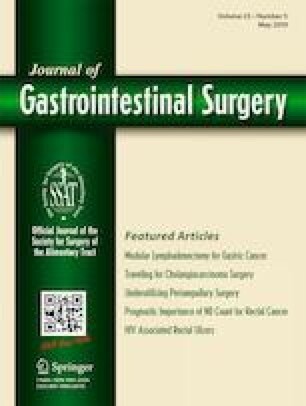 Intestinal autotransplantation (IATx) is a novel surgical technique for neoplasms arising from the pancreas, duodenum, mesentery, or retroperitoneum with involvement of the superior mesenteric artery (SMA). The value of this aggressive procedure remains to be defined. We describe its surgical indications, postoperative complications, and clinical outcomes after IATx. Fifteen patients aged 20 to 67 years (mean 44.9 years) underwent IATx in our program from January 2011 to January 2018. In all patients, selection and harvesting of a healthy bowel autograft were initially carried out, and an extended en bloc resection of neoplasms was performed afterward. Of the 15 patients, there was one early death from a pancreatic leak and two late deaths either from disease recurrence or sudden cardiac arrest. Ten patients developed 23 postoperative complications. Of these, one patient lost his bowel autograft due to arterial thrombosis 48 h later. Delayed gastric emptying, pleural effusions, pancreatic fistula, and relaparotomy were the most common complications. In our series, four of nine patients with invasive malignant neoplasms had evidence of disease recurrence at 13, 13, 16, and 18 months after IATx. At a median follow-up of 29.9 months, 11 patients undergoing successful IATx remained alive with a well-functioning bowel graft. Our results indicate that IATx is technically feasible with acceptable perioperative morbidity and mortality. This procedure should be considered in selected patients presenting with locally invasive neoplasms involving the SMA. The authors would like to thank the surgical team and the nursing staff at Xijing Hospital of Digestive Diseases, the Fourth Military Medical University, for their excellent patient care. The authors thank Mr. Yinglun Wu for help with English grammar. Drs. Guosheng Wu, Qingchuan Zhao, and Weizhong conceived and designed this study. The acquisition, analysis, and interpretation of data, as well as manuscript drafting and approval, were performed meaningfully by all listed authors. All authors accept responsibility for the accuracy and integrity of this work. This work was supported by the grant from the National Natural Science Foundation of China (#81570588).